Step 1: Scout your Competition- Before beginning to turn your dream into a reality, Chron.com suggests visiting surrounding comedy clubs to observe talent, ambience, ticket and drink prices, and scope out trends. Staying current and providing a local hotspot that locals want to visit is a sure way to guarantee your success. Step 2: Location, Location, Location- Buying or leasing a location next to other entertainment venues will drive your business. Restaurants, theaters, and bars are a few key establishments that can provide foot traffic for your growing comedy club. Step 3: Upsell your Customers- optimizing your revenue stream by offering food items. 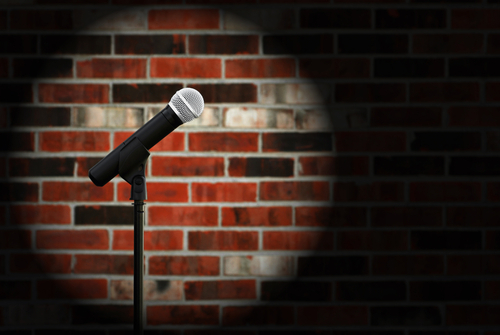 Since not all comedy clubs are supplied with a full kitchen, your customers can dine and be entertained in one location while your business profits: it’s a win-win. Another tip- the aforementioned website also suggests offering favorite meals of famous comedians as a fun ploy to drive business. Be as creative as you’d like! Step 4: Set Consistent Pricing Scale- Keep your competition in mind while you decide pricing. However, it is up to you how to handle cancellations and policies on filling seats last minute. Step 5: Talent Scouting- Booking quality talent is the biggest revenue producer for your comedy club. As your budget permits, it helps to maintain relationships with booking agencies to keep your venue current and attract bigger names in the industry. RMS Hospitality Group has a deep understanding of the entertainment industry and the inherent risks involved in operating a comedy club business like yours. To learn more about our unique offerings for niche markets, contact one of our specialists today at (888) 359-8390.